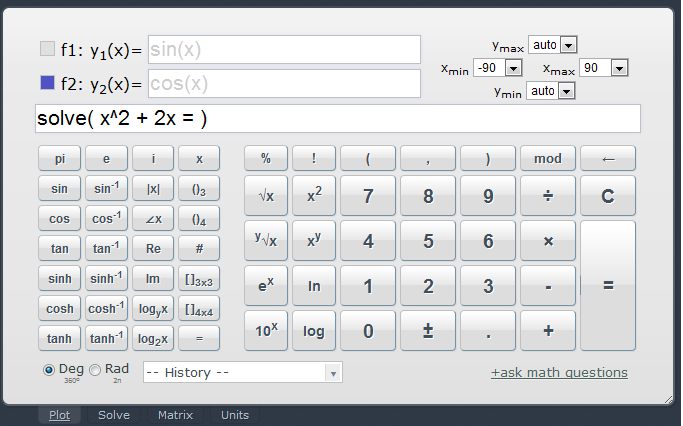 I have already shared several online calculators and graphers, and another addition to the list is the Web2.0.Calc scientific calculator, a very simple and yet useful online calculating application. It is an online scientific calculator that can perform basic calculations, plot graphs, perform matrix operations, and solve simultaneous equations up to 4 variables . It can also be used to perform a wide variety of unit conversion: length, area, density, energy, force, power, speed, inertia, bits , and time. The Web2.0Calc can be embedded in sites and blogs by means of a widget code that can be obtained from the official site.